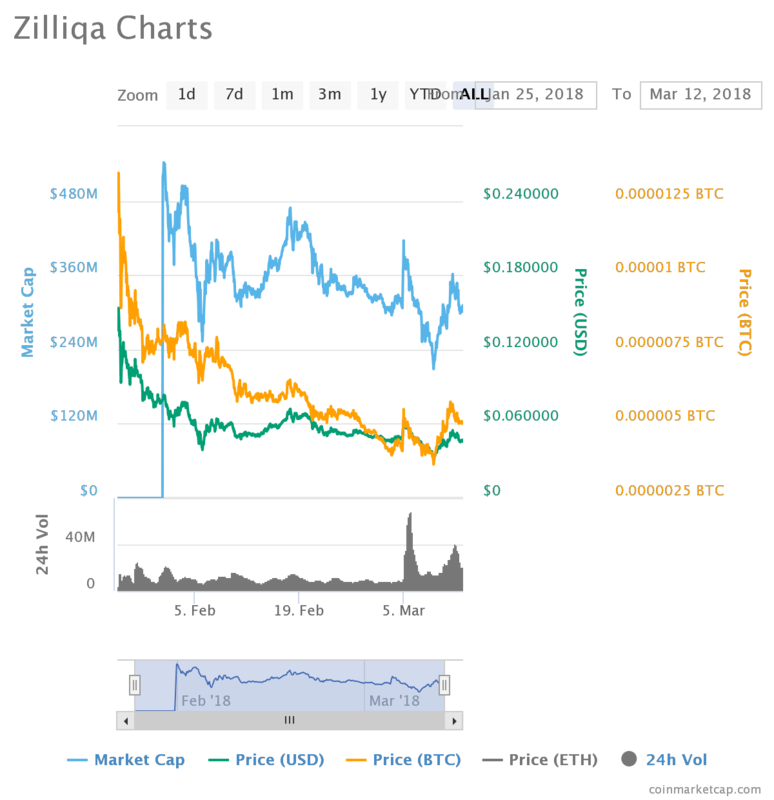 Zilliqa (ZIL) – With the market in an upward trend after the weekends dip, Zilliqa (ZIL) stands out with biggest percentage spike in the past yesterday. Recently added on Binance this week, this fast paced high throughput blockchain can end up being one of the more dominant forces in the cryptocurrency world. Zilliqa’s technology is so advanced that it even threatens the future of both Bitcoin and Ethereum without even trying. This coin is particularly interesting for any investor looking for major returns specifically because it is one of the cheaper coins within the top 50 marker=t capitalization. This coin, now trading at $0.05 cents has the potential to soar over a dollar. The team at Zilliqa is actively hiring new developers and marketing people – experts in cybersecurity and blockchain technology. Built to solve the salability problem of public blockchain, Zilliqa does this without exposing the system to security vulnerabilities. The difference between and most other proof-of-work blockchains Zilliqa is that there is no need to perform a proof-of-work for every block that is mined thanks to the mining identity protocol. This makes the mining process use less time and less energy. While most other currencies focus on an Ethereum based programming language, the fact that Zilliqa has their own programming language, Scilla, allows for secure and standardized programming. The smart contract language in Zilliqa follows a dataflow programming style, where the smart contract can be represented as a directed graph. By separating the state and the function to distinguish the different communication aspects of a smart contract, the smart contracts become easily verifiable. Unlike most other scalability projects that claim they will have thousands of transactions per second, Zilliqa is fully permission-less. Zilliqa is capable of solving blockchain’s scalability issue by bringing quick transaction speeds to the masses. However, there are several blockchain projects that are trying to improve the scalability of blockchain from the ground up and Zilliqa falls in competition with those projects. The significant advantage that could see the increase in adoption is if the open source breakthroughs in sharding begin its implementation in other upcoming blockchain projects. Sharding is a concept that has proved useful in improving the rate of scalability, bandwidth, and performance. Being the first blockchain to accomplish the use of sharding, ZIL ensures an automatic network parallelization. Each network of nodes gets split into shards that make up micro-transactions in each of the blocks. 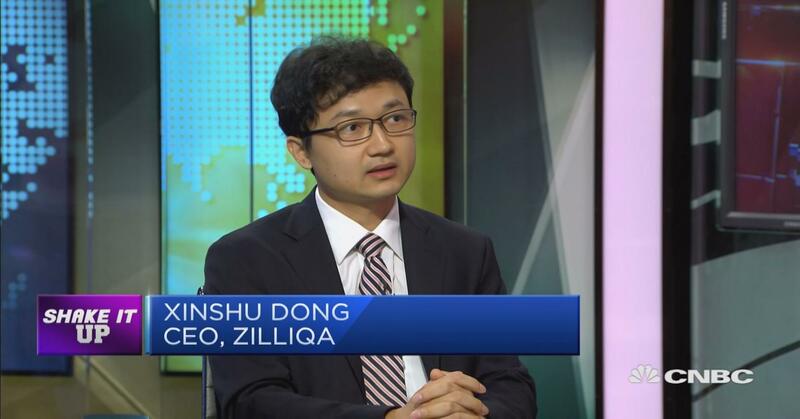 Because Zilliqa is the first protocol to incorporate this, an investment in this product seems secure. As cryptocurrency and smart contracts become adopted in the mainstream, the demand for quick transaction rates becomes a major factor. Able to transact thousands of transactions per second, Zilliqa proves to be one of the quicker platforms. 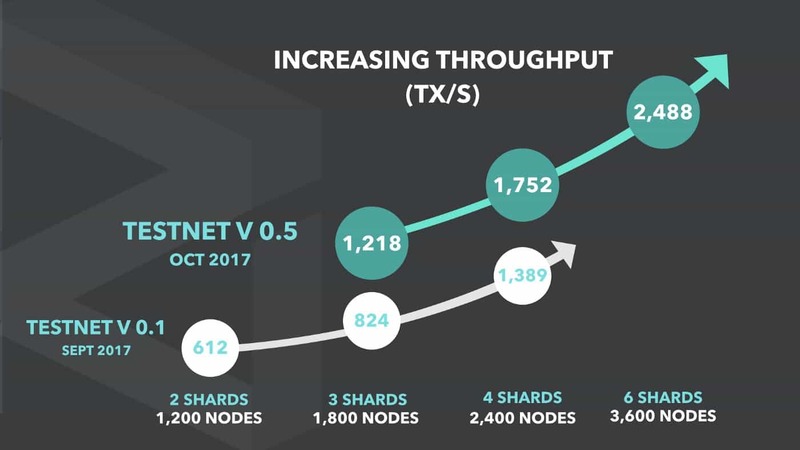 Zilliqa’s design allows its transaction rates to roughly double with every few hundred nodes added to its network. As we know, the crypto market is in its infancy stages and and looking at the market on a day-to-day basis can be brutal – but after the weekends sell off – the market seems to be in an upward trend. People are starting to realize that this platform can grow such as that of Ethereum – if not, bigger. Zilliqa strives in scalability. The technology’s quality will speak for itself and 2018 will see the rise of new coins reaching new highs. ZILs are used to pay fees to the networks nodes. The token was initially distributed as an ERC-20 token. However, once main net is launched the ERC-20 will be swapped with ZIL protocol token. As we know with the ZIL ecosystem, each block rewards several miners at a time. This protocol will allow miner income to be more stable compared to other chains. This coin looks bullish.